Admit it - we have all spied gangs of little girls playing with barbies and wanted to join in - not least to try out the latest outifts with those terrifyingly pointy plastic heels. Well, now you can do this without feeling childish as Barbie is set to release not one but 3 dolls to celebrate the late and great Grace Kelly! The three dolls wear replica vintage dresses from Kelly’s envy inducing wardrobe. 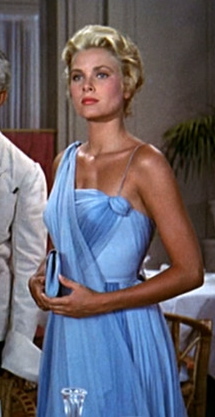 The ‘To Catch a Thief’ Barbie wears a blue chiffon gown modelled after a dress Kelly wore in the 1955 Hitchcock film opposite Cary Grant. The bridal version of the doll is dressed in a mini-replica of Kelly’s still-iconic wedding gown (squeak). 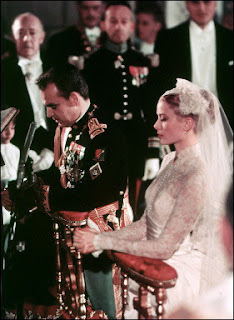 Finally, the Romance doll will rock a black floral dress that mirrors the one Kelly wore when she met Prince Rainier III at the Cannes Film Festival in 1955. That doll, which will be available in October, also comes with a cute navy blue skirt suit like the one Grace wore when she arrived in Monaco for her 1956 wedding. Also, you can pretend that, rather than acting like a big kid, you are actually just doing your bit for charity as a percentage of the sale price will go to Princess Grace Foundation-USA, which funds the professional development of emerging artists in theatre, dance and film. So, dig out your Ken (you know you still have it) and get ready for make believe all over again! Note: This should only really be done in the privacy of your own home (or Barbie Dream Castle) as we suspect that this will raise eyebrows in the office.